Cross-discipline thinking and argumentatively writing provides a full panorama for problem evaluation and discussion. The topic on how technology influences the modern society is a cross-discipline analysis of two disciplines; computer science and sociology. On one hand, computer science deals with the study of technology. On the other hand, sociology is dedicated to analyzing how the society performs, its core values and norms. Technology in this topic is regarded as a tool, a vehicle that impacts on the norms, values and beliefs practiced in an individual society. The values, standards and practices in a corporation have undergone numerous changes. The changes are influenced largely by the emergence of technology. The changes impact both positively and negatively on the society. The topic focuses on the negative effects of the tool and the social havoc that emerges. To be specific, violence is a point of discussion that correlates the two disciplines. Violence is a social construction and as such, it has undergone numerous changes over time, and it reflects power relationships. 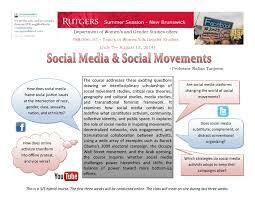 The link between the two disciplines is well stipulated as each emphasizes the social setup and the resultant impact. Like any other correlation, the two areas of study overlap. On one end, the social construction focuses on the vices prevalent in the society where violence becomes a critical issue of interest. On the other hand, as technology evolves, the damaging and widespread challenges it causes become evident and the two disciplines collide and overlap at this juncture. Technology cannot exist outside the bounds of the social structure. As a discovery, it was developed to help curb the challenges that coexist in society. However, like any other man-made tool, it is prone to misuse and for personal interest. It is through the aspect of technology that modern society is founded. In a society where sexual harassment and domestic violence is prevalent, the tool does not mitigate the vice but rather increases its influence. It acts not only as a stepping stone towards goal achievement and enhance better lives, but also as a tool that deploys an imminent threat to curbing the vice. The interaction of the two disciplines is evident, sociology creates a social platform that adopts and applies technology. The vices practiced in the society such as sexual harassment are fueled by the application and adoption of technology. Like any other research, there are limitations and challenges that face an individual researcher. In this study, a problem arises in finding a cross-sectional relationship between the two disciplines. Since sociology deals with the ways of the people and the social construction of the society, providing a correlation with an intuitive, technology-based training like computer science poses a challenge. The researcher must evaluate the two areas of interest in depth to provide an informative, statistically correct and authentic research. To achieve this, the study must assess the contribution of technology to the social structure. The growth of technology and specifically the internet is attributed to a variety of voices. The social vice that is of concern is sexual and domestic violence. Violence is a major concern to the general public as it instills fear. Determining what causes and triggers violence and who defines its extent is a challenge.